Many thanks to everyone who joined us for “What Is a Dissertation? 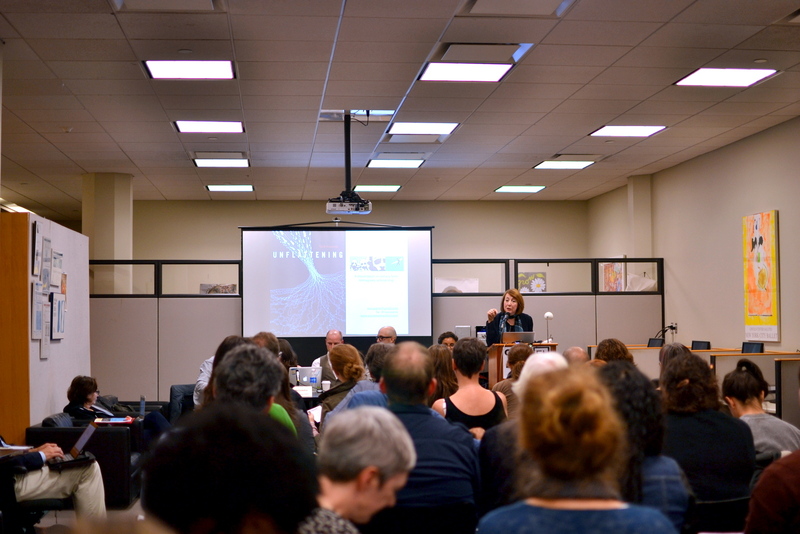 New Models, Methods, Media.” We were blown away by the energy and thoughtful discussion, both in the room at the CUNY Graduate Center and virtually all over the world. The livestream was viewed over 300 times, with most viewers staying all the way through the Q&A. There were nearly 2,500 tweets that used the #remixthediss hashtag. 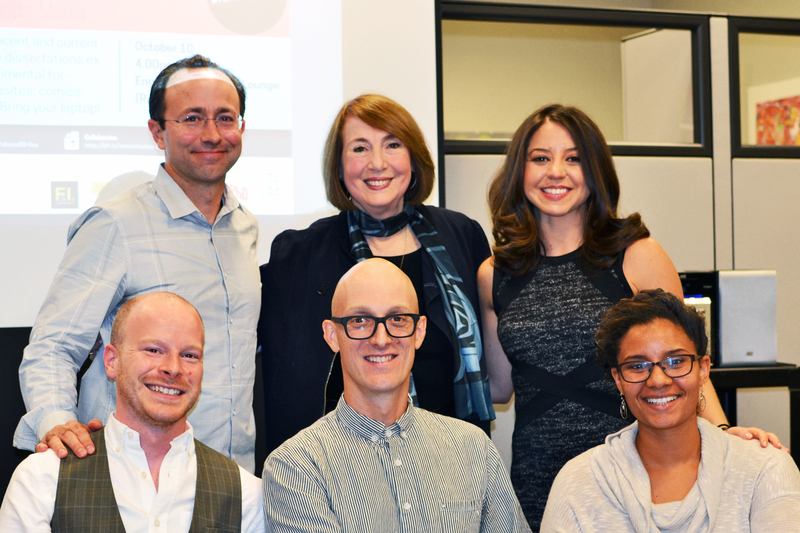 The panelists did a terrific job sparking a discussion that we hope will continue on campuses around the world. We’ll be continuing the conversation here at the Graduate Center, beginning with an open discussion with Austin McLean, director of Scholarly Communication and Dissertations Publishing at ProQuest. More information about that will be coming soon. We also hope to have a follow-up panel at the 2015 HASTAC conference. The main #remixthediss event page remains available at bit.ly/remixthediss. 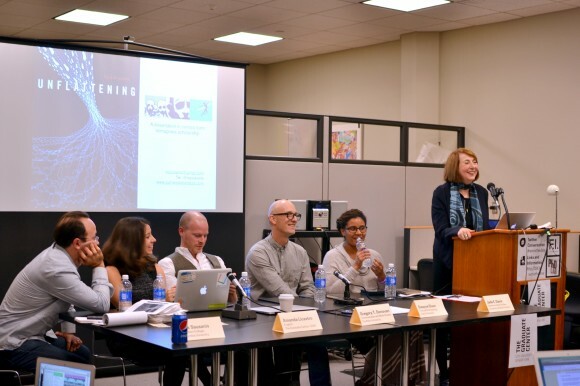 We invite everyone—whether you attended or not—to read and add to the growing list of models and the thought-provoking questions and discussion that the event sparked. We have also posted the video for anyone who was unable to join us. In addition, Kalle Westerling, FI Fellow, has created a Storify of the event, and has created an archive of the Twitter conversation using TAGS Explorer. Many others have written about the event; we’ve gathered a few posts here. Did we miss something? Add it to the comments!